Zraxth’s Unseen Arcanum is a new challenging one group dungeon which will make its first appearance at Fan Faire this August. Will you be in the San Diego, CA area on Saturday, July 24th? The SOE Block Party at SOE Studios in sunny San Diego, CA brings a day you will never forget. Join fellow gamers and developers from SOE for music, food, tours, game previews, giveaways, raffles and much, much more. SOE will offer activities for the young ones, so bring everyone in the family! Attendance is free! The SOE Block Party is Saturday, July 24th, 2010, from 4:00 pm – 8:00 pm at the SOE Studio (8928 Terman Ct, San Diego, CA, 92121.). Shuttle buses are scheduled to travel round-trip to SOE from Comic-Con every 30 minutes from 4:00pm-6:00pm. You can read more information including how to RSVP in the full EQ2Players announcement. With just over a month left until the big event we thought it would be fun to give you a behind the scenes look at Fan Faire! What goes into planning such a big event you may ask? When do we start? Just how many pallets of stuff are shipped to the event, and how many rolls of shrink wrap does it take to keep everything together? Look no further folks—we have all of the answers right here! In our quest for insider information we looked to the experts, the Events Team! Three wonderful ladies make up this team: Jen Belfield (Manager, Marketing Services), Lauren Zeiger (Marketing Events Manager) and Dawn Wilson (Marketing Coordinator Services). This weekend, from 4pm Pacific on Friday, July 2nd (23:00 GMT) until 10am Pacific on Tuesday, July 6th (17:00 GMT), we will be running BOTH a Double Station Cash promotion *and* a true Double XP (+100% XP) promotion. 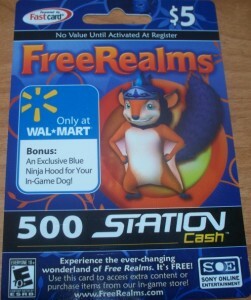 The only StationCash cards currently available for purchase are branded as FreeRealms cards with StationCash value. Do not buy EverQuest II gameplay time 30 day cards (if you can even find them), they will not work. Also, it appears there is a glimmer of hope that we may finally see some movement on European solutions for StationCash cards. The druid rings in Feerrott and Loping Plains are now safe destinations for newbies to zone in. Kurista, Elwe, Dalarim and Tolla Clorto no longer change appearances every time they zone. The Defender of Growth guards are now much more powerful, to better protect the druid rings. A couple harvest nodes near the Stonebrunt Highlands druid ring were left floating when the terrain was adjusted. This has been fixed. Antonica will once again broadcast the call to arms. Fallen Foe Charms can now be used by Wardens. The Priest of Discord in New Halas now resides closer to the PvP merchants. Vaclaz Encounter: Crippling Nausea no longer stuns players. Instead it causes their actions to have a chance to impede those around them. Players hit with keen insight no longer can be hit with crippling nausea. Players with crippling nausea will never be picked to handle the keen insight adds. Roekillik beastmasters now have more health. The Taehric Construct and Vaclaz no longer debuff player’s physical and Noxious mitigation levels. Rathgar will now hit players with Deathblow once per 55 secs rather than once per 45 secs. Master Syfak’s Roekillik Deathbringers will not cast festing plague as quickly as they did before. Amahn Prime Nirel now summons flames and fire more quickly during the fight. I goofed with the spawns in Jarsath and Sinking Sands, so the progress signs aren’t appearing in those two zones. Unfortunately it’s not a server-specific thing or a setting that I can just change on the fly, so even though I have the fix in the pipeline I can’t tell you how soon it will be on the live servers, yet. It’ll be fixed as soon as possible. Update: According to the update notes, this should be fixed with the hotfix going in tomorrow morning. Spring blooms, Antonica beckons! Good people of Norrath, bring your sons, your daughters, and join in a week-long celebration of life, love and friendship. The full schedule for this player-run event on the Antonia Bayle server can be found on this GuildPortal site. Effects can once again proc on an AE autoattack. Tunarian supply officers will now buy items for coin, like many other merchants. The druid portal to Nektulos Forest now lands adventurers closer to the druid ring. An issue preventing players from harvesting magiliths after they died has been fixed. The bug that prevented looting A Floret of Growth with certain group loot settings has been fixed. Ancestral Sentry can once again be cast on raid and group friends. It can no longer be cast on pets or NPCs. Plane Cracker should no longer occasionally cast if Approaching Equilibrium is slain before reaching Roehn Theer. Approaching Equilibrium should now despawn almost immediately upon being slain. Void-charged Soul and Star-charged Soul should now correctly be dispelled from both players when they successfully reach each other. Void-charged Soul and Star-charged Soul now have a 3s delay after being applied before they begin reacting to other nearby charged souls. Hook arrow will no longer cause the victim to drop the flag. Today’s Hotfix (Patch) fixes a bug in the Druid Ring Live Event, and includes tweaks to itemization, the new PvP Warfields, and numerous bugs in the Icy Keep raid zone. We also include the hotfix notes from May 27, 2010 which somehow got left out. Thanks for all of the information. We’ll take a look and see if we can’t get this working. The cap was always 75%. The 80% you all were seeing when your resists were high enough in the persona window was a display error. The display error has been fixed, so it is now showing 75%. Do note that that 75% is against a target that is your level. A higher level target will require higher resists to reach the 75%. Also, some spells are harder to resist than normal (you should see this effect in the spell’s description) and will need even more resists to get to 75%. 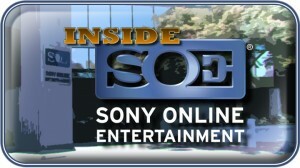 Join us on Wednesday, May 26, 2010, at 1:30 pm PDT, as we take a look behind the scenes in this edition of the Inside SOE Broadcast on Ustream! We’ll be in the SOE Ustream channel! The event is expected to last about 30 minutes. Live Chat and Q&A! – Attendees can chat live and ask questions with members of the Community and Development teams. The Agency: Covert Ops and Pox Nora – Join us as we chat with our Tuscon office about these Facebook games. EverQuest II – Tune in to chat with the EQII team about the release of Halas Reborn! Free Realms – Find out more about the newly released Free Realms goodies! To watch our live webcasts, you can visit the channel or you can create an account and log in to Ustream to chat via text with the Community Team and our special visitors. NOTE: The event is now 15 minutes late. One of the preamble events leading up to the Destiny of Velious expansion will be the reconstruction of several dilapidated and corrupted Druid Rings. 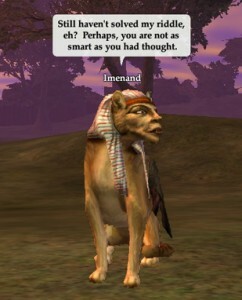 Read the article on EQ2Players. As we reported in April, we are expecting the druid rings in Nektulos Forest, Loping Plains, Zek, and Feerrott to be rebuilt. We’re making it easier than ever to try out EverQuest II’s most recent expansion, Sentinel’s Fate. For three days, May 12th through May 14th, everyone who doesn’t already have Sentinel’s Fate can try it out for free. Also, there is a $5 discount off the cost of the expansion for active players, and an additional $5 discount off the cost of the 1st month’s subscription for inactive players. Finally, all players can claim the Rose Quartz Inlaid Golden Armband for free from the Station Marketplace! So make sure you log in between now and 11:59pm on May 14th to try out Sentinel’s Fate and to claim your armband. 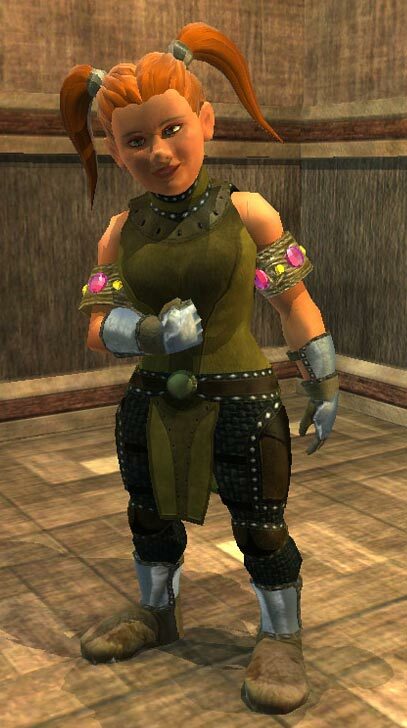 We can imagine the armband color won’t be to everyone’s taste, but if you’ve been looking for a discount off the expansion, or to come back and play for a few days, check out the EQ2Players announcement. The focus this week has been on new EQ2 Senior Producer Dave Georgeson, and EQ2 Server Performance, which has been a persistent black cloud over EQ2 for the last 2 months. Test Copy is getting some major use as it is where PvP and Battlegrounds changes are tested. We will be working out a schedule as to when the test_copy server will be pvp vrs pve. We are working it out now and will get back to you guys shortly. The e-mail and EQ2Players announcements for this weekend’s Bonus XP event neglected to mention that Tradeskills will also see a bonus. We have not yet been informed what % the bonus will be, but 30% is a good guess. Gninja has confirmed the news we speculated about earlier this year. Unfortunately we will not be making drastic changes to Thundering Steppes this time around. That doesn’t mean there will be no changes but we are not considering it being revamped. GU56 will be full of cool stuff though (Including but not limited to New Halas and some new raids) you should see it hitting test servers in the not too distant future. A revamp of Thundering Steppes seems to be completely off the development radar at this point, with Butcherblock Mountains stepping in as the “place to be” for level 20-35 content. Although subject to change, our understanding is that, just like Timorous Deep, level 20 players will be offered a quest guiding them from New Halas to the Butcherblock docks to begin level 20-35 content. Look for some changes coming to level 82 mastercrafted armor with GU56 (for a start, it should all be level 82 now …) including the addition of yellow adornment slots and some resists. We are also in the process of discussing the possibilities of some stat tweaks. It now seems even less likely that any of the Tier 1 Marks of Manaar gear will be an upgrade to any player. Note that Tier 2 Marks of Manaar gear (which has Critical Mitigation and better stats) must be sought out in Moonfield Hamlet in Stonebrunt Highlands. Greetings Norrathians! Sharpen your swords and repair that armor. There will be bonus AA, Tradeskill, adventure experience (XP) this weekend starting at 3:00pm PDT on Friday, April 23rd until 11:59pm PDT Sunday, April 25th (2:59am EDT). Happy adventuring! Bristlebane Day (April 1st) always brings out festivities and a bit of zanyness to EQ2. In past years, we’ve seen /cutemode (also try /cutemode 3 ) and in EQ1, turning everyone into wireframes. But this year, Bristlebane Day has put practicality in the place of tomfoolery. Today, Bristlebane Day, a unique quest has appeared in the Enchanted Lands, offered by a Sphinx, which pays tribute to the father of Dungeons & Dragons — Gary Gygax. The folks at ZAM were first to note that 2 of the 3 riddles given were also found in a FreeRealms quest. Further exploration of the Enchanted Lands and other zones has revealed not only crafting tables from Frostfell, but also harvestable nodes for every recurring Norrath live event, including Nights of the Dead, Frostfell, Tinkerfest, and Erollisi Day. If you have a desperate need for some event-specific craftables for your house or guild hall, don’t miss your opportunity! Perhaps some Bristlebane Gremlins got into the works because briefly this morning, the monthly City Festival rolled into both Qeynos AND Freeport. According to this report, a few quick-thinking (and possibly light fingered) individuals snapped up a few Freeport furniture items before they vanished. The polished white marble of the regal Qeynos decorations have been countered by Freeport accoutrements with a decidely black color scheme. Alas, this was a short-term glitch and only those who were quick on the trigger were able to buy these items before the event reset and Qeynos became the only game in town for this month’s City Festival. While Norrathians will get to celebrate Bristlebane for an extended time (March 30 -> April 12th), there is a special quest only available on April 1st. 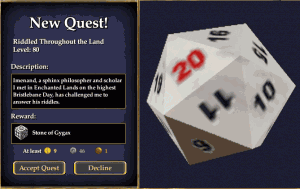 Become the EverQuest II Producer for a Month! Psych! Bristlebane Day Kicks Off Tomorrow! Bards, jokesters and thieves unite, this is the holiday for you! Now’s the time to let it all hang out for the holiday named in honor of Fizzlethorpe Bristlebane, the King of Thieves and the Grand Prankster. Now that everyone has recovered (we hope!) from Brewday and paying their respects to Brell, it’s time to celebrate that sneaky, prank-playing halfling, Bristlebane! The Bristlebane fesitivities will begin on March 30th and conclude on April 12th, with special events only available on April 1st.